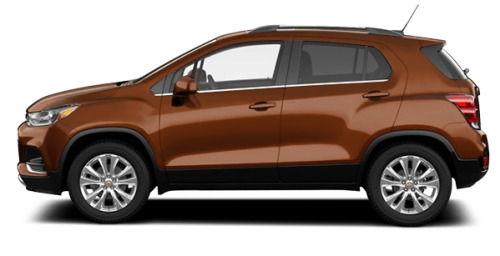 Get the 2019 Chevrolet Trax for the cash purchase price of $19,998. Offer available to qualified retail customers in Canada for vehicles purchased and delivered between April 2 and April 30, 2019. 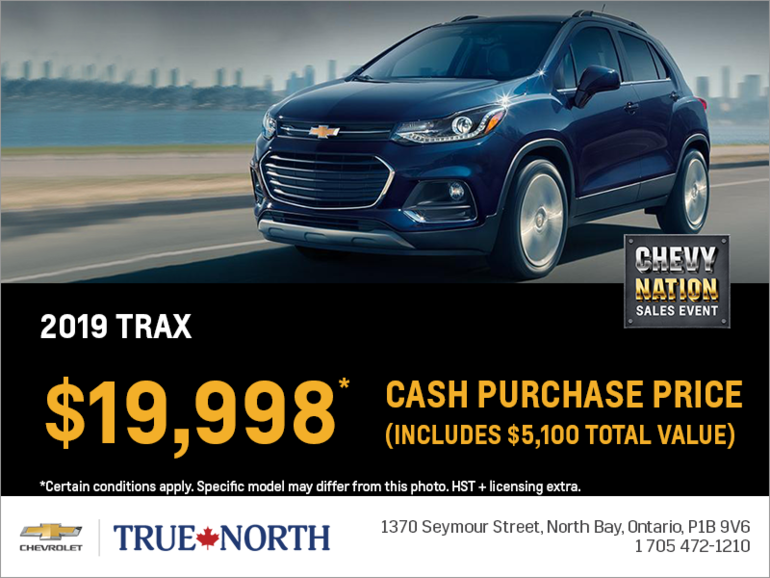 Cash Purchase price includes $5,100 Non-Stackable Credits (tax exclusive) and $497 Dealer-to-Consumer Credit (tax exclusive) applies to cash purchases of new 2019 Trax LS FWD Air/Auto models at participating dealers in Canada. $19,998 cash purchase price includes freight ($1,795), air conditioning charge ($100) but excludes license, insurance, registration, dealer fees and taxes. Offer may not be combined with certain other consumer incentives. General Motors of Canada Company may modify, extend or terminate this offer, in whole or in part, at any time without notice. See dealer for details.